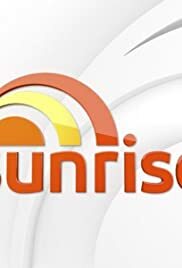 Sunrise Now Number one at Breakfast; This is Channel Seven's catch phrase for this wonderful piece of breakfast television. It started out in 1999 as a short one hour television, with Aussie icon, Andrew Daddo and former Olympic swimmer, Joanna Griggs. It then went into limbo for a year, with bad ratings. The show then got revitalized in September, 2000. When the Olympics returned to Australia after 54 years. After the Olympics the show then went off. From 2001, it turned into a two hour breakfast show, trying to bring down Channel Nine's extremely successful, yet boring Breakfast show 'Today'. The show really kicked off in 2003 when a new type of program was show, a three hour a morning show from 6 to 9, and Financial guru David Koch joined the cast. The show was turned into a talk back radio type television show, relying most on viewers thoughts with the infamous Responsers Of Sunrise (ROS) Wall. Where they put up what viewers want them to talk about. In 2004 the studio go revitalized with segments getting moved around, to try and get the best line up of breakfast television. The best move Channel Seven made to try and take over Channel Nine in Breakfast television was when they signed Music Guru Ian 'Molly' Meldrum to be a judge of popular reality show 'Popstars'. He then became the Music reporter for Sunrise after being with Nine for so many years. Channel Seven being the Australian Boradcaster of the Athens Olympics allowed the family member of Olympians to watch the show live at the Channel Seven Studios at Mobbs Lane. Then Channel Seven dropped a bomb shell they would change Breakfast Television in Australia for ever. They moved the whole of the News & Current Affairs department to Martain Place, right in the heart of Sydney to make the news user friendly, Sunrise joined and straight after the closing ceremony of Athens, Morning Vigil watchers were shocked. They no longer saw the traditional bright colors of the Mobbs Lane Studio. They now saw the streets of Sydney.